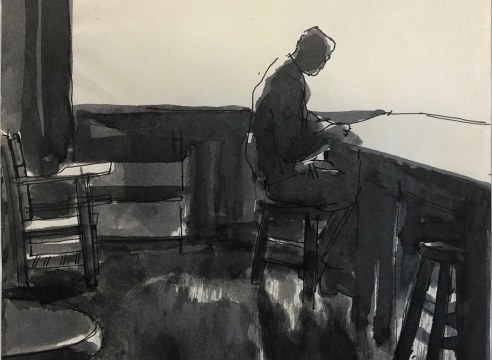 “Elmer Bischoff: Studies from Life,” George Adams Gallery, New York, New York, 2019. 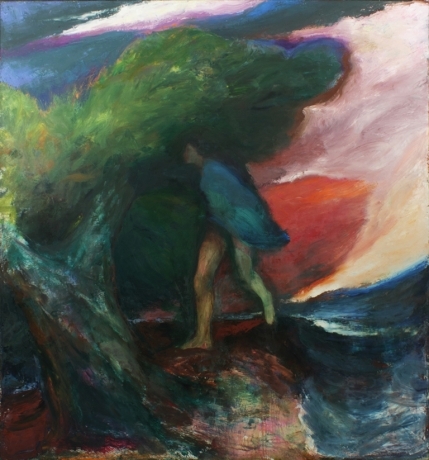 “A New Gesture: Elmer Bischoff, 1946-50," George Adams Gallery, New York, New York 2018. 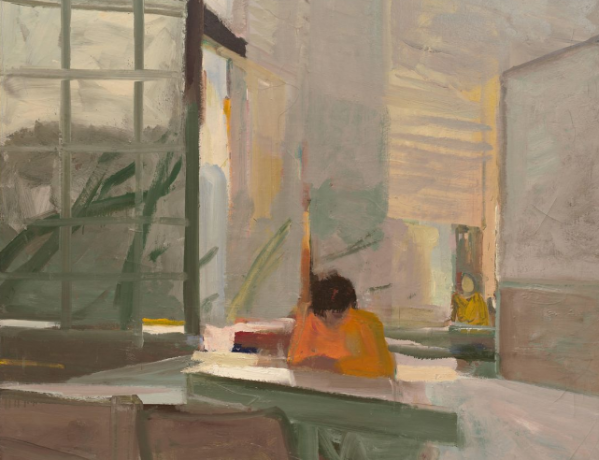 “Elmer Bischoff: Working From Life,” George Adams Gallery, New York, New York, 2015. 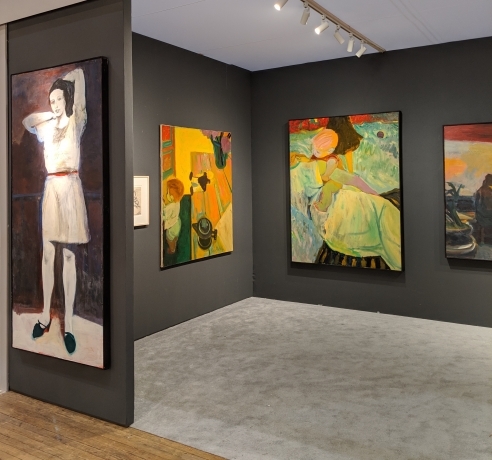 “Elmer Bischoff: Figurative Paintings,” George Adams Gallery, New York, New York, 2015. 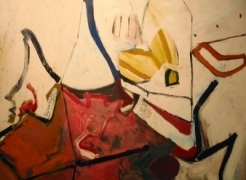 “Figurative Paintings, 1953-1966,” George Adams Gallery, New York, New York, 2010. 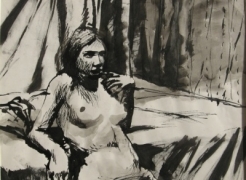 “Figurative Drawings from the 1960s,” George Adams Gallery, New York, New York, 2009. 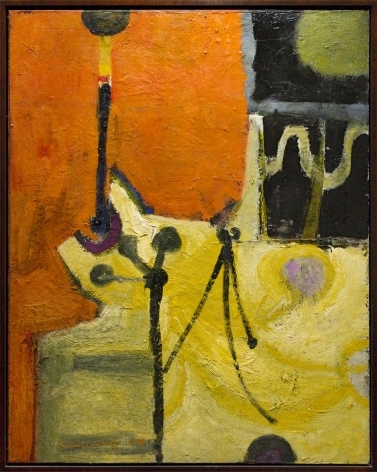 “Elmer Bischoff: Abstract Paintings, 1948 – 1952,” George Adams Gallery, New York, New York, 2008. 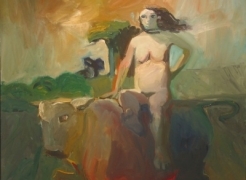 “Elmer Bischoff: The Late Abstractions,” John Berggruen Gallery, San Francisco, California, 2005. “Drawings for a Dialogue: Elmer Bischoff.” The Oakland Museum of California, Oakland, California, 1991. 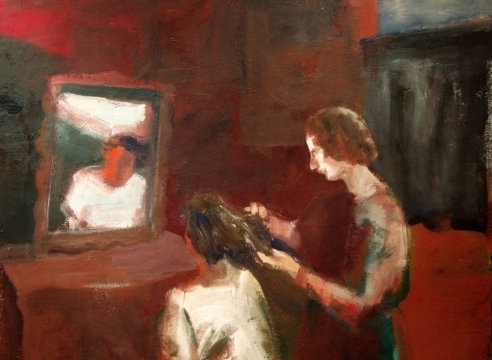 “Elmer Bischoff: Paintings,” Salander-O’Reilly Gallery, New York, New York, 1991. John Berggruen Gallery, San Francisco, California, 1989. John Berggruen Gallery, San Francisco, California, 1988. University of Arkansas, Fayetteville, Arkansas, 1984. John Berggruen Gallery, San Francisco, California, 1983. Grossmont College Gallery, El Cajon, California, 1981. E. B. Crocker Art Gallery, Sacramento, California, 1981. Contemporary Arts Museum, Houston, Texas, 1980. John Berggruen Gallery, San Francisco, California, 1979. San Jose Museum of Art, San Jose, California, 1979. University Art Museum, Berkeley, California, 1975. Charles Campbell Gallery, San Francisco, California, 1975. Art Academy of Cincinnati, Ohio, 1975. Galerie Smith-Andersen, Palo Alto, California, 1972. San Francisco Museum of Art, San Francisco, California, 1971. Richmond Art Center, Richmond, Virginia, 1969. Staempfli Gallery, New York, New York, 1969. Henry Art Gallery, University of Washington, Seattle, Washington, 1968. E. B. Crocker Art Gallery, Sacramento, California, 1964. Staempfli Gallery, New York, New York, 1962. Paul Kantor Gallery, Los Angeles, California, 1955. King Ubu gallery, San Francisco, California, 1953. California Place of the Legion of Honor, San Francisco, California, 1947. “Wayne Thiebaud: Artist’s Choice,” San Francisco Museum of Modern Art, San Francisco, California, 2018-19. “30 Years: Frumkin/Adams – George Adams Gallery,” George Adams Gallery, New York, 2018. “A Century of American Art: 1866-1966,” Menconi & Schoelkopf, New York, New York, 2018. “Decades In The Making,” Hackett Mill, San Francisco, CA, 2017-18. “Closely Considered: Diebenkorn in Berkeley” Richmond Art Center, Richmond, California, 2014. “Fertile Ground: Art and Community in California” Oakland Museum of Art (in conjunction with SFMOMA), Oakland, California, 2014-15. “Local Color,” San Jose Museum of Art, San Jose, California, 2012. “Contemporary Painting, 1960 to the Present: Selections from the Collection,” SFMOMA, San Francisco, California, 2012. “New Art at UD,” Old College Gallery, University of Delaware, Newark, Delaware, 2012. “Beyond Tradition: Art Legacies at the Richmond Art Center,” Richmond Art Center, California, 2011. “Bella Pacifica: Bay Area Abstraction 1946-1953,” Nyehaus, New York, 2011. 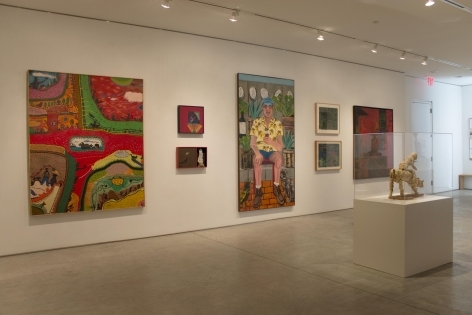 “Summer Group Show: New and Classic,” George Adams Gallery, New York, New York, 2010. 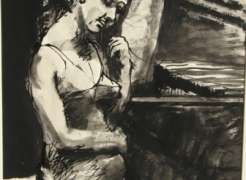 “Different Strokes: 20th Century Drawing,” George Adams Gallery, New York, New York, 2010. “Bay Area to New York,” Allan Stone Gallery, New York, New York, 2009. “Abstract and Figurative: Highlights of Bay Area Painting,” John Berggruen Gallery, San Francisco, California, 2009. Gallery Paule Anglim, San Francisco, California, 1988. "The Triumph of the Figure in the Bay Area, 1950-1968," 871 Fine Arts, San Francisco, California, 1987. "Thirty-ninth Purchase Exhibition," Hassam and Speicher Fund, American Academy of Institute for Arts and Letters, New York, New York, 1987. "Ten Abstract Painters," John Berggruen Gallery, San Francisco, California, 1987. "Art in the San Francisco Bay Area, 1945-1980," Oakland Museum of California, Oakland, California, 1985. "Realism and Realities: The Other Side of American Painting, 1940-1960," Jane Vorhees Zimmerli Art Gallery, Rutgers University, New Brunswick, New Jersey, 1981. "California: State of Landscape 1872-1981," Newport Harbor Art Museum, Newport Beach, California, 1981. "American Painting of the 1970s," Albright-Knox Gallery, Buffalo, New York, 1978. "The Modern Era: Bay Area Update," Quay Gallery, San Francisco, California 1977. "Paintings and Sculpture in California: The Modern Era," San Francisco Museum of Art, San Francisco and Meredith Long Gallery, Houston, Texas, 1976. Boston University Art Gallery, Boston, Massachusetts, 1974. 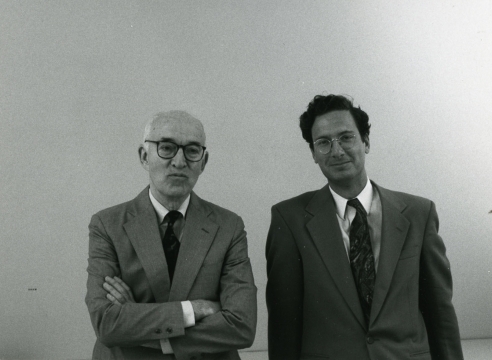 "Contemporary American Painting and Sculpture- 1974," Krannert Art Museum, University of Illinois, Champaign, Illinois, 1974. 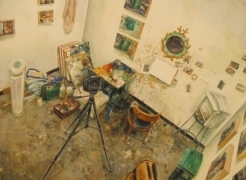 "Drawing from Life and Studio Set-ups," Oakland Museum of Art, Oakland, California, 1973. "The MacAgy Years, 1945-1950." Oakland Museum of Art, Oakland, California, 1973. "California Works on Paper: 1950-1971," University Art Museum, University of California, Berkeley, 1972. "Looking West 1970," Joslyn Art Museum, Omaha, Nebraska, 1970. "Expo '70," Osaka, Japan, 1970. 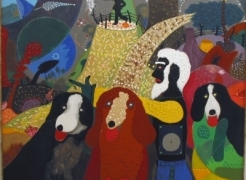 "American Painting 1970," Virginia Museum of Fine Arts, Richmond, Virginia, 1970. "The American Sense of Reality," Philbrook Art Center, Tulsa, Oklahoma, 1969. "Selection of Paintings from James A. Michner Foundation Collection," Brooks Memorial Art Gallery, Memphis, Tennessee, 1968. "International Exhibition of Contemporary Painting and Sculpture," Pittsburgh, Pennsylvania, 1967. Virginia Museum of Fine Arts, Richmond, Virginia, 1966. Felix Landau Gallery, Los Angeles, California, 1966. "1966 Midyear Exhibition," Butler Institute of American Art, Youngstown, Ohio, 1966. "Twenty-ninth Biennial Exhibition," Corcoran Gallery of Art, Washington D.C., 1965. "American Exhibition of American Painters," Whitney Museum of American Art, New York, New York, 1965. "Three California Painters: Elmer Bischoff, Joan Brown, David Park," Staempfli Gallery, New York, New York, 1965. Staempfli Gallery, New York, New York, 1964. Whitney Museum of American Art, New York, New York, 1964. Second Biennial of American Art, Cordoba, Argentina, 1964. Tate Gallery, London, England, 1964. "Art: USA: Now," Touring Exhibition of the Johnson and Son, Inc Collection, 1963. “Whitney Museum of American Art Annual,” Whitney Museum of American Art, New York, NY, 1960. "Biennial," University of Illinois, Chicago; Whitney Museum of American Art, New York, 1958. "New Talent, USA, '58," American Federation of Arts travelling exhibition, 1958. 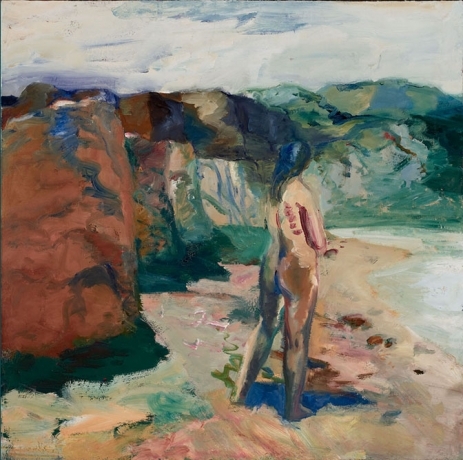 "Contemporary Bay Area Figurative Painting," Oakland Art Museum, Oakland, California, 1957. "California School- Yes or No?" Oakland Art Museum, Oakland, California, 1956. Richmond Art Center Annual Exhibition, Richmond, Virginia, 1955. San Francisco Art Association Annual, San Francisco, California, 1953. "Contemporary Painting in the United States," Los Angeles County Museum of Art, Los Angeles, California, 1951. "New Bay Region Artists," San Francisco Museum of Art, San Francisco, California, 1949. Abstract Expressionism, San Francisco Museum of Art, San Francisco, California, 1948. Elmer Bischoff's 1967 painting Girl With Arms Raised is included in artnet News' "6 Dazzling Works at the ADAA’s Art Show." The article features six highlights from this year's show. Eileen Kinsella writes that the painting "immediately evokes Picasso’s moody harlequin paintings." Works by Elmer Bischoff and Joan Brown are included in the exhibition Wayne Thiebaud: Artist's Choice at the San Francisco Museum of Modern Art. For this exhibition, Thiebaud delved deep into the museum’s storage vault. His choices include both old friends and new discoveries by European Modernists. 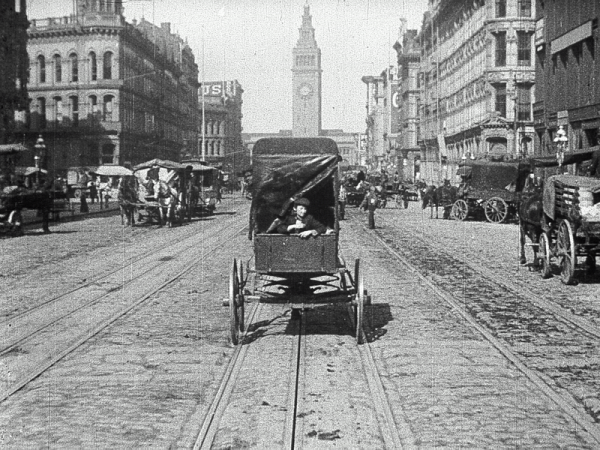 The current exhibition, ‘Way Bay,’ at the Berkeley Art Museum and Pacific Film Archive (BAMPFA) puts together an exposition of diverse works of Bay Area art, film and poetry spanning 200 years of creativity. Works by Enrique Chagoya, Joan Brown, Elmer Bischoff and David Park are included in the exhibition, among many of their contemporaries. This absorbing show is the first gallery exhibit in 25 years to focus exclusively on Bischoff’s figurative works. On leaving the gallery, for a moment, the world is changed, its colors and shapes seen through Bischoff's eyes. Large, moody, startlingly strong paintings, made between 1953 and 1972, argue for greater recognition for the Bay Area peer of Richard Diebenkorn and David Park. Bischoff countered Abstract Expressionism (which he knew first hand, as a student of Clyfford Still and Mark Rothko) with a stubborn loyalty to figuration. His style might be termed Neo-Expressionist, avant la lettre, but with deep roots in modern traditions. 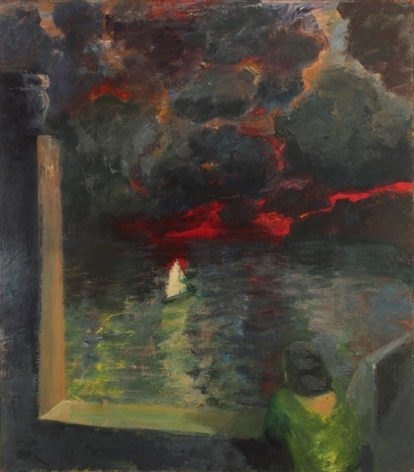 Smoldering color and furious brushwork lend as much drama to a domestic scene, “Girl Getting a Haircut” (1962), as to a grand sea view, “Figure at Window with Boat” (1966). You feel as much as see the art. It feels like joy under pressure. Through Aug. 14. During Abstract Expressionism’s heyday in the 1950s, three artists in San Francisco turned away from abstraction and back to representational painting, founding a movement that came to be known as Bay Area Figuration. They were David Park, Richard Diebenkorn and the subject of this stirring exhibition at the George Adams Gallery, Elmer Bischoff (1916-1991).